So where’s the fashion post? And what happened to Monday? Well, I’ll tell you what happened. It’s something that usually happens to me after a bout of several good days. It’s something painful and uncomfortable that zaps the energy right out of me. Anyone who has Irritable Bowel Syndrome or is close to someone with this condition knows what I mean. And since I had a bout of a stomach bug last week, my whole colon has been going crazy (only thankfully God brought healing to me a few days ago). No one likes talking about IBS because most of it has to do with poop. Either we go way too much or rarely at all. I’m in the latter end of the spectrum with IBS-C. Basically I’m full of crap– literally (pardon my crudeness). If I bought all of the laxatives I took in an average month in just one grocery strip, then I would either look like a nurse or a major bulimic. It helps to space out buying these laxatives over time, and usually my mom will go in and get them to spare me the embarrassment and suspicious looks (it doesn’t help that I’m thin). I take at least one laxative every day, and two or three days a week I have to take two. This is all just to get me to go every two or three days so I can eat without getting sick and fit into my clothes. Why am I telling you something so personal and slightly embarrassing? Because everyone poops! Or at least, everyone should. And hopefully, if you’re normal, you’re going once or twice a day– every day or every other day. IBS can take you on either end of the spectrum, and my end of the spectrum is just starting to gain notice as a huge category of IBS. And of course, there’s a lot more to IBS than just abnormal pooping; pain is a huge thing. I get stomach pain and colon spasms (which feels like those side cramps you get while running– only much lower). There’s also bloating, stomach distension (which feels like your gut’s basically about to rip off), and other symptoms that vary person to person. Now I don’t mean to tell you all of this so you feel sorry for me or anything like that. On the contrary, I want you to feel that I’m stronger because of this disease. It’s not easy living with the pain as it comes and goes, nor is it easy always being on the verge of dehydration from all of the laxatives. But God is pulling me through it. I’m seeing a specialist, and getting better treatment than ever before. I now appreciate a bodily function most of us take for granted. I’ve missed out on some things in life, and I have had to develop more patience and resilience as a result. I’m also telling you about this because there are millions of people suffering from this disease– and a lot of you don’t even know you have it. Either that, or you do know you have it but are too afraid to talk about it (which is totally normal). Either way, the awareness needs to spread and people need to get diagnosed and treated! Life can still be awesome with IBS. God has done amazing things through my toughest of times. And every month it seems as though I am learning new ways of coping. Anyway, time for Spring Break! Hope you all have a wonderful weekend. Thank you for allowing me to share some of my story with you all. I hope to share more of how I cope with my IBS in the future. 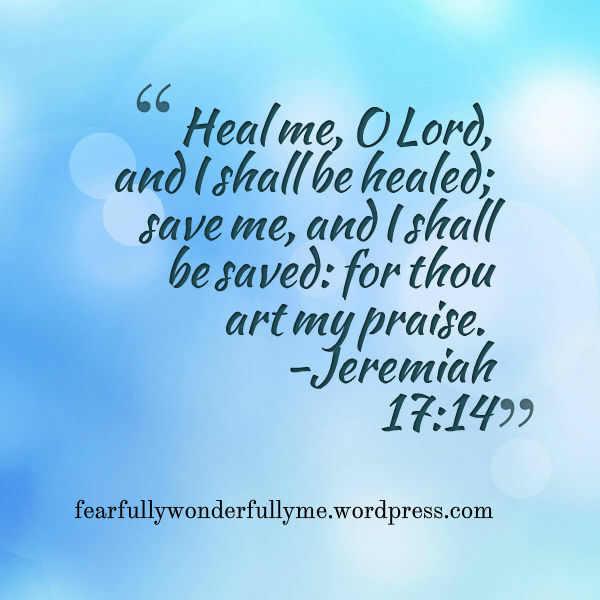 As I pray for physical healing from plumbing problems, too, I think more and more about our ultimate healing. Resurrection is looking better and better all the time! Yes! God is working in me though. I am feeling better now than I ever used to. Praying for you as well!